This is unquestionably the most inspiring book to come out of Israel that I have read in a long time. There is scarcely a word in it about whether Israel should hold on to the territories or give them back, or about what should be the rights of the Non-Orthodox groups within Israel, or about the divide between the rich and the poor or between the Ashkenazim and the Sephardim or about any of the other topics that we hear so much about nowadays. Instead, this book is simply the account of a young soldier who fought in the Second Lebanese War, who tells of his experiences in the war and during his recuperation from the wounds that he suffered there. It is written with a disarming innocence, and yet I confess that I had to put it down almost every few pages because its emotional impact was so powerful. You learn many things from this book. One is that the Israeli army is like a family, and that every officer feels an enormous sense of responsibility for those whose lives they put in danger. And so you learn that soldiers pay visits to their buddies and their officers when they are in the hospital, and that they pay shivah calls to the families of their buddies who have died in the war. You learn that Israel is a very small country, and that therefore soldiers who die are not just ‘body count’ or statistics. Everyone knows everyone else, and therefore every family feels everyone else’s loss. And you learn that the Israeli army is a democracy. And so, near the end of this book, Lubotsky tells of a fellow soldier who writes a letter to the Chief of Command, complaining that the goals of the war had not been thought through properly—and, more surprising, he received a thoughtful and a detailed and a respectful answer in return! Asael’s wounds were caused by friendly fire that came from the Israeli air force that operated on inaccurate information. And when he was in the hospital, the pilot who had bombed his tank came to see him to apologize and to explain. I don’t know if that happens in many other armies, but it evidently happens in the Israeli army, and that is impressive, is it not? There are more than a dozen stories in this book that I marked so that I can go back to read again, but this is perhaps the most inspiring. The head of the Orthopedic Rehabilitation Department at Tel Hashomer Hospital was Dr. Itschak Siev-Ner. This was the man who by his skill and determination saved Asael Lubutsky’s leg from requiring amputation. When Asael’s grandfather came to visit him in the hospital and met this doctor, it turned out that their families knew each other very well. During the Second World War, Asael’s grandfather was a partisan, fighting against the Nazis. He was hit in the leg by a German bullet. Medical treatment was almost non-existent in the woods, and there were almost no bandages, but the partisans were determined to save him. The nurse bandaged his wounds with tree leaves to stop the flow of blood, but the wound became infected and Asael’s grandfather ran a high fever. The partisans went out and captured a German drug delivery so that they would be able to give him an antibiotic. As a result, the fever decreased and he was able to recover from his injuries and return to the fighting. The nurse who cared for him and saved his life was Anna Siev-Ner, and now, sixty years later, it was her son, who was treating his grandson’s wounds! Asael Lubotsky was a student of the Yeshiva in Har Etsion, and he tells some remarkable stories of how he somehow managed to put on Tfillin every day, of how he somehow found the time to study Torah with other patients in the hospital on occasion, and of how he would call his rabbi and ask permission—which he was always given—before he would eat on a fast day or do military work on the Sabbath. He never says a word of disparagement towards those soldiers in his unit who were not as observant as he was, and he never tried to persuade them to be more observant, but I am sure that his example must have been a model of how to combine piety and patriotism to them all. He tells of how even those who were not observant would nevertheless gather around him and join in when he recited the prayer that is said before going off into battle. And he never demonizes or denies the humanity of the Hezballah soldiers against whom he fought. He even describes how he and his soldiers would carefully cover their enemies’ bodies and carry them out on stretchers or would quickly bury them if they could not do so because they were under fire. He does not brag or boast that Israel is always right but he quietly affirms that the existence of the State of Israel and the safety of the Jewish people depend on the army’s courage and determination, and that therefore, they must not fail. And he says that he and his fellow soldiers tried their best to affirm the doctrine of ‘tohar haneshek’, the concept that war must be fought ethically, difficult, and sometimes impossible, as that sometimes was to do. We live at a time when American soldiers who come back from the wars are not always welcomed back as heroes, but are instead looked upon by many people as having engaged in a pointless war. And we live at a time when the wounded soldiers are not treated as well as they should be in the military hospitals or by the community on whose behalf they have fought. And we live at a time when wisdom of some of Israel’s leaders and some of its policies are judged harshly both here and within Israel. And so it is heartening to read this book which describes an army that is composed of simple soldiers who care about each other, and care about the land for which they fight, and who strive to preserve their humanity even under stress. This is a book that everyone who believes in Israel’s right to exist should read and should treasure, regardless of what their point of view may be on Israel’s domestic or foreign policies may be. You come away from it with an understanding of how very special Israel’s army is. 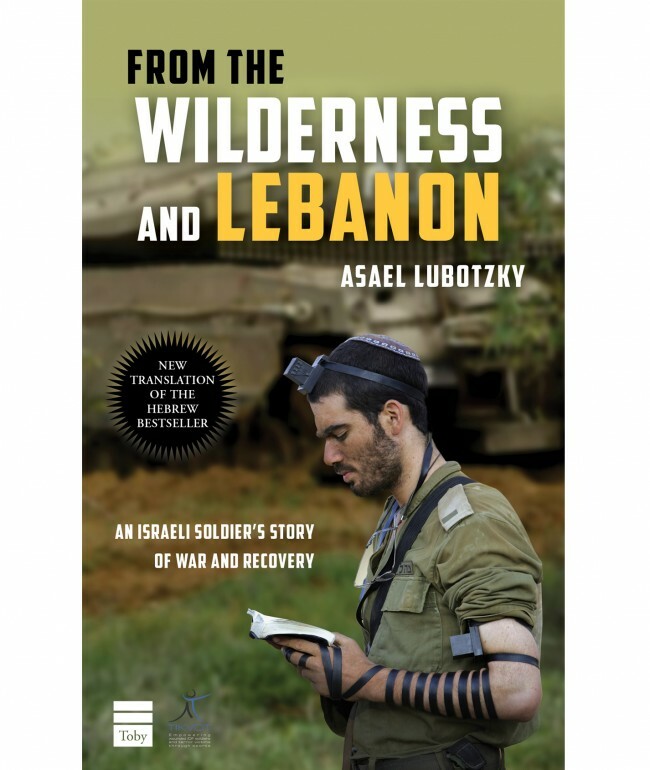 From the Wilderness and Lebanon is available online and at local Jewish bookstores everywhere.